The Swiss star takes on Daniil Medvedev in the Round of 16 on Wednesday at the Hard Rock Stadium. Federer has already overcome Radu Albot and Filip Krajinovic in Florida as he bids to win his 101st career title. This is the first time the tournament is being hosted at the stadium which is home of NFL team the Miami Dolphins. 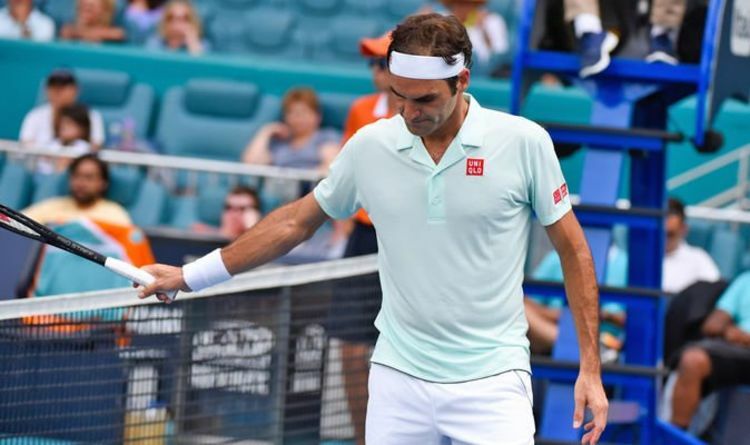 Crandon Park usually plays host but this year’s competition marked the opening of the new arena and according to tennis pundit Catherine Whitaker, Federer is struggling to adapt to the new surface. “I don’t think new Miami suits Roger Federer particularly well,” she told the Tennis Podcast. “I don’t think he likes the grit in the surface, I don’t think he likes the change, he doesn’t think it’s the new US Open. “He’s not hitting the ball, he looks a different player to the one we saw in Indian Wells. “He’s not making backhands, he’s missing on the backhand a lot and there’s lots of mistiming. Meanwhile, Federer is very much aware of the threat posed by Medvedev and knows he won’t be a walkover into the quarter-finals. “He plays from far back and can play in, as well, so there is some variety there, but other than that, he plays very flat, you know, for me,” Federer said. “He’s clever how he plays the court, because he can play it up and down, and he’s unusual when he plays from back. “He plays more flat than actually loopy like what [Dominic] Thiem does or Rafa [Nadal] or Stan [Wawrinka] does. “He plays it more flat from the back. It’s a bit of a different approach. “Thankfully I played him last year twice in Basel and Shanghai. I’m looking forward to the game.